This trendy wallpaper with a linen stripe in black and white is a real eye-catcher and fits perfectly with a modern interior. You can combine this wallpaper not only very nicely with light colors and materials, but also with dark (gray) shades and woods. 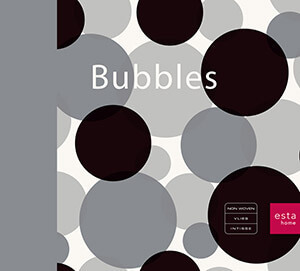 You will find this wallpaper with a linen stripe in black and white (135415) the collection Bubbles.